As a health care provider, you are required by HIPAA to adopt policies and procedures to protect the confidentiality of your patients’ health information. 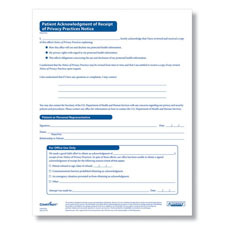 This includes giving patients written notice on how you may use and disclose their protected information and having policies in place to address patient privacy complaints. 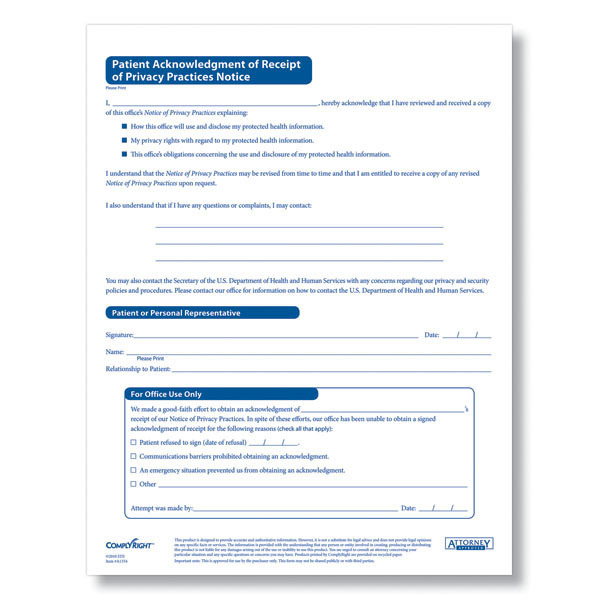 This attorney-approved form satisfies your HIPAA obligations by documenting compliance.